Protecting your employees and customers is important and businesses go to great lengths to do that. But protecting the company’s data in the form of files and other documents is highly imperative as well. Most security breaches happen because we fail to adequately protect our company’s highly confidential data. Protecting the data by installing file cabinet locks is the way to go. They are highly robust and can protect a file cabinet from forceful entry adequately. Our team has installed many locks over the years and Village Locksmith Store can help you choose the one that best fits your needs. You cannot expect intruders or unauthorized sources to not prey on your vulnerabilities. Keeping important papers out in the open is a mistake that we end up committing both knowingly or unknowingly thinking that your papers are safe in your office. But what we fail to understand sometimes is that even our own employees can also steal company secrets. Protecting your business’s data is your job and to help you with that we always recommend the installation of sturdy and top grade file cabinet locks. Installing a lock will not only protect you from rogue external sources but also keep away unauthorized employees from accessing important company data. File cabinet locks come in a variety of shapes and sizes, offering varying degrees of security. You can choose a simple yet effective lock for your home to keep out important papers from children’s reach at your home. Or you can go for more advanced options suited for your office to effectively protect your business data. Ultra-modern locks even come with the option that allows you to lock the cabinet with a code using a digital keypad. 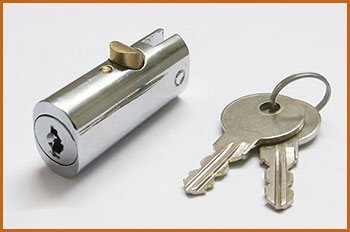 If you are confused about which locks to choose, you can seek our expertise. Misplacing a key is very common but finding it back is not. But we have got your back. If you ever lose the key to the file cabinet lock installed at your home or office, just call us. We will unlock the lock in no time and you won’t have to miss out on any important meeting or appointment. In the event, you feel that the key might be stolen or might have fallen into the wrong hands, we will simply rekey the lock instead of installing a new one. This way you save money and only the new key will work after the combination on the lock is reset. For sturdy file cabinet lock installation, repair or rekeying in Dallas, TX, call us on 214-382-2786.